AM I NEXT? MASSIVE DISRUPTION ON THE HORIZON FOR DOD-RELATED IT EMPLOYEES — AM I NEXT? 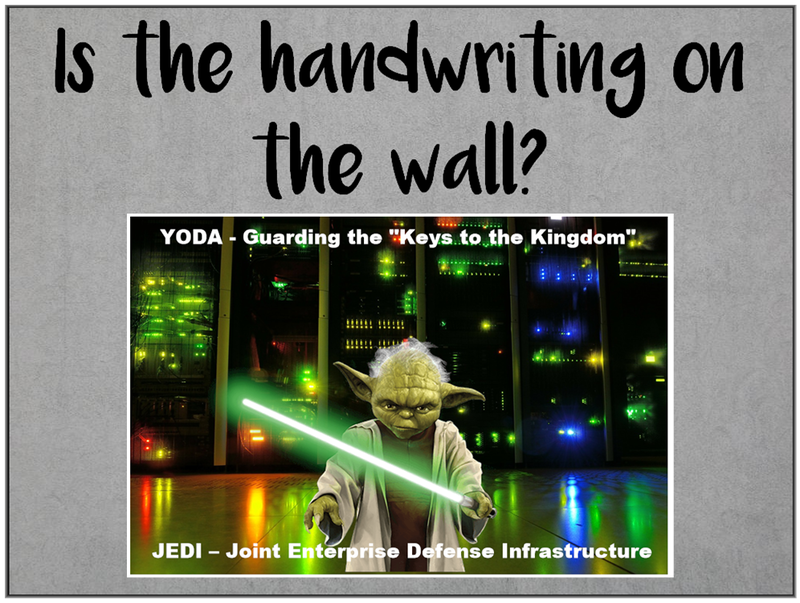 The handwriting is clearly on the wall and hundreds, if not thousands, of government employees and private contractors will be affected at numerous data centers around the globe as the U.S. Department of Defense moves all of its unclassified and classified information into a cloud which can be more easily administered, accessed, and protected. However, that does not preclude a zero-day exploit by a foreign evildoers or even someone who is the custodian of the "keys to the kingdom." It is time to assess IT and support jobs associated with the Department of Defense and plan an alternate career path or exit strategy.